The angler who does it all as far as saltwater and warmwater fly fishing. The Echo Boost Salt offers exceptional power. The rod allows anglers with fast hands and an aggressive stroke to thrive in tough conditions. The Orvis Encounter rod and reel outfit is the perfect gift for someone who has been talking about getting into fly fishing. It's a fully rigged outfit ready to fish out of the box. An excellent foot in the door to trout fishing with the 5wt or bass and light saltwater with the 8 weight. The A2 balances power and precision for an excellent saltwater and warmwater rod. It is a fast action rod that generates line speed efficiently and is best in the hands of an aggressive caster. This is an excellent upgrade to a rod with premium backbone without a premium price tag. Lamson's new Standard Seat Fly Rod is all business. This fast action rod has the power saltwater and warmwater anglers need. But its bread and butter is its control. The standard seat is an exceptionally easy casting rod with premium performance. This is an excellent first serious rod, but it is also a huge asset to the experienced angler's arsenal. The fastest of the fast. The Sage Igniter is the top of the totem pole when it comes to extremely fast-action rods. Designed for the experienced angler able to optimize the rods ability to generate high line speeds quickly. For such quick rod, the Igniter also offers exceptional tip control and precision. The 7 weight is a bonefishing dream. The 5 weight is for the trout streamer thrower who overpowers other rods. The Hydros SL is a solid reel with a sound sealed drag system. This reel is suitable for everything from trout to tarpon. The large arbor has an excellent retrieval rate. The Hydros SL is one of our best selling reels. The Abel TR is a trout fishing icon. This is the newly revamped TR series. Extremely lightweight, masterfully designed and of course updated with an upgraded version of the traditional click and pawl drag system. The Grande is Redington's new powerhouse. This fully machined aluminum winch is an excellent upgrade in durability from die-cast reels. The sealed drag system goes from the touch and feel settings needed for a sudden bonefish run. To the tug of war settings needed for billfishing. This is the only reel in its price class that goes up to a 14+ weight and is fully capable of the abuse involved when tangling with fish that require a 14 weight. A Tibor is a Tibor. If your angler has ever been talking about reels and brought up Tibor he or she is very likely to either own one or want to own one. They are some of the most fundamentally sound, workhorses of reels on the planet. The Everglades is the do-everything 8 or 9 weight reel. It has proven itself everywhere from the beach to the Everglades to foreign flats. The new frost finishes provide a smooth matte appearance while saving you a little money on pure Tibor performance. Nameplate engravings and different color drag knob options add personality to the reel. For the saltwater angler, the Cobalt is Lamson first reel designed specifically for the salt. It features a supercharged version of Lamson's iconic sealed drag system. A first of its kind the Cobalt is the first fly reel to be IPX8 certified waterproof up to 100 feet. While the larger sizes are built to take down the ocean's strongest fish, the smaller sizes are exceptionally light and have a ton of finesse for slowing down quick jolting flats species. This 100% cotton long-sleeve t-shirt is full of Keys swagger. It is ideal for tying night or for catching a late afternoon tide. As soft and comfortable a shirt as you can wear on the water or off. Makes an excellent layer when its cold, and an even better moisture-wicking fishing shirt when it's hot and humid. The unique cotton poly blend is perfect for those who don't like the feel of pure polyester fishing shirts. Full sun coverage on the water. The Women's Tropic Comfort crew shields with 50+ UPF sun protection. The unique taper offers full comfort and freedom of movement on the water without being too baggy. There's also a rear zipper stash pocket for a small fly box or other important items. 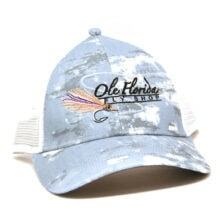 For all-day fishing comfort in the backcountry and on the flats, lake and open ocean. The Superlight Pants are the pinnacle of lightweight fishing pants for hot conditions. 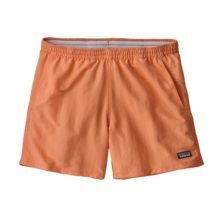 They dry quickly, breath well, are extremely lightweight, and feature a buffet-style waistband for the utmost comfort. Not to mention the UPF50 sun protection. Fishing hoodies for tropical climates have become increasingly popular. The Solarflex Hoody deserves a lot of the thanks for this. Like the Solarflex crewneck, it is extremely lightweight with quick-drying and moisture-wicking properties. The hood is a huge asset to sight fishing as it blocks light from coming in behind your sunglasses when it's up. UPF50 sun protection. The fly tier who already has everything. No fly tier has ever said the words "I'd like to be less organized". If your tier has been tying for a long time, chances are he or she has a ton of materials and tools. This dense, non-skid foam caddy takes the guess work out looking for the right tool for the job. Whether you know that the tier you're buying for already ties these flies, or if you're looking to give them a new fly to tie - these tying kits make for great gifts. They include all the materials to tie some of our most popular flies. The video instructions for each kit can be found in our blog. A new way to get more organized and tie more efficiently is always a blessing for fly tiers. The new Material and Fly Prep station is just that. Prepare the materials you're going to tie with so you don't waste time fumbling around. Or use the station to dry freshly glued or epoxied bugs. Renzetti vises are often a tier's first premium true rotary vise. The convenience of having a true rotary vise is the biggest advantage a single tool can give you in fly tying. This particular model, the 2304 is Renzetti's latest. It holds hooks size #28 to size 4/0 and features an oversize, overweight base for stability. The serious fly tier. The Excalibur is the king of vises. With angle adjustments in two locations and dual rotation capability, hook accessibility is optimized meaning there's no such thing as a difficult angle with this vise. Jaws can be adjusted to secure every hook from size #22 to 8/0. The bobbin cradle is included. Royal blue base and accents add nobility to any tying desk. The G4 Pro Sling Pack is a compact, water-resistant pack that contours to your body for all day comfort. It features a fold down workbench and side straps capable of holding a rod tube. Great for carrying a sessions worth of gear for on-foot adventures. The Thunderhead Sling provides full waterproof protection for your gear. For its comfort and functionality this is one our best-selling packs with amazing feedback. The Thunderhead is ideal for traveling and for local trips. The beach and urban angler. The splash-proof G4 Pro Tactical Hip Pack carries everything your angler will need for long walks on the beach or an afternoon full of canal and lake hopping. Flies, tippet material, pliers, a protein bar and the often overlooked, hydration. The included Simms water bottle means no more drink runs to the gas station cutting into fishing time. The traveling, wading angler and photographer. The Stormfront Waterproof Backpack is ideal for all day flats wading trips for its fully submersible capabilities and external backup rod straps. This pack is large enough for fly boxes, tippet material, tools, a rain jacket and camera gear, yet compact enough to stay out of the way while casting. The ultra simple design is all about fishing functionality. The world traveler. Airports, cargo bays, motherships, skiffs, campsites, the Fishpond Thunderhead Submersible Duffel is engineered to tough it all out. From weekend trips to the Bahamas to week long trips to the Seychelles, this duffel goes where your angler goes and keeps his or her gear and necessities safe and secure the entire way. Orange is a great color for this duffel as it stands out on airport conveyer belts so your angler can locate the bag and go. A priceless tool. The Headgate Tippet Holder keeps the necessary tippets and leader materials out for easy access. Attach it to a gear bag on the skiff or to a pack for on-foot adventures. The avid tier will love the Infiniti Light as it eliminates the need to keep replacing batteries. This UV light charges with a standard USB port. It is also Loon's most powerful light for quicker curing. Works with all Loon UV resins. Tournament anglers, kayak and canoe anglers, wading anglers, minimalist anglers. The fly line lanyard allows anglers to wear these premium nippers around their neck while fishing. This gives your angler the advantage of being able to switch flies or remove frayed tipped in seconds without having to wear a belt for pliers. The innovative piano style hinge provides leverage for easily cutting thick tippet. The edge retention and corrosion resistance of the replaceable cutters will provide a surgical cut when its needed most time and time again. How many cheaper pliers does an angler have to go through until they upgrade to a pair that's going to last? That upgrade is the Guide Plier here. Built to last, built for comfort, and built to perform. The included Kydex sheath is about as cool as sheaths get. The obsessed angler, fish art enthusiast. Fish art is awesome, it represents us as anglers and brings us feelings of inspiration and nostalgia when we aren't on the water. Jorge Martinez is one of the best at capturing these feelings. This box is coated with UV resistant clear gloss to prevent discoloration, so if it's not sitting on a shelf for everyone to see it can hold up to serving its purpose of holding flies.